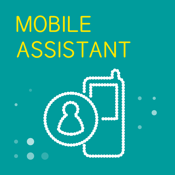 Mobile Assistant links your mobile phone with your assistant’s, so that they can handle your incoming calls. You avoid interruptions to important work and become more productive. • Both phones can ring simultaneously. Whoever then answers first is connected to the caller. Once a call is answered, it can be transferred between you and your assistant. The caller is placed on hold while you and your assistant talk; when either hangs up, the caller is connected to the other. A call can be transferred between you and your assistant as many times as you like. Mobile Assistant also works when your phone is switched off or out-of-signal - your assistant’s phone still rings. This application requests access to your Contacts. Your Assistant’s phone number will be sent to the Mobile Assistant service in your network. No other personal information will be used or sent from your device.